Heat one tablespoon of oil in a small skillet over medium heat, saute the asparagus and shallots until just lightly softened, just about 3-4 minutes. Add in the garlic and ginger, toss well. Turn off the heat and squeeze the lime over the whole pan. 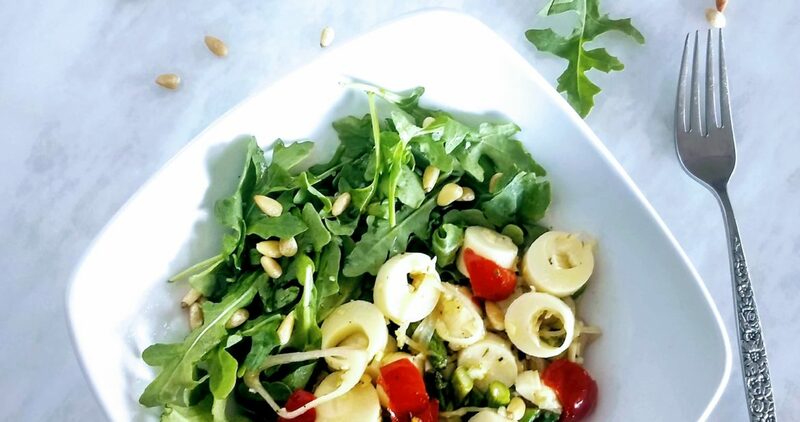 Toss the arugula and palm hearts with remaining olive oil. Toss in the asparagus mixture and the peppadew peppers. Add salt and pepper to taste. Enjoy.